Tragically Hip is Canada’s newest homegrown celebrity cannabis partnership. But will it be what long-time fans are hoping for? A band that has been an iconic and cultural staple of Canada for 33 years is stepping into a new arena: cannabis. Tragically Hip has partnered with Newstrike, trading on the TSX-V stock exchange under the ticker symbol HIP. The band, consisting of lead singer Gord Downie, guitarist Paul Langlois, guitarist Rob Baker, bassist Gord Sinclair, and drummer Johnny Fay has in a stroke of fateful irony lived up to its name in every sense. From bluesy and soulful rustic ballads to upbeat yet dark tunes capturing the history and culture of Canadians, they started as a group of guys who just enjoyed playing small venues in 1984. Soon, their hypnotic sound catapulted them from pubs and fairs to national esteem. Over the years, their homeland blessed them with albums reaching triple platinum status, 16 Juno awards, and an international following that continues to grow. They even appear on their own postage stamp. Tragedy struck the Tragically Hip last year when lead singer Gord Downie discovered terminal brain cancer. The 2016 tour, celebrating the band’s 14 albums to date, is widely rumored to be the band’s last. While members of the band may or may not have a long-standing appreciation of cannabis, Gord Downie’s devastating illness is certainly an understandable catalyst for the members to take a more serious look at the therapeutic powers of the plant. Newstrike, however, is new to the cannabis arena. The company, previously known for mineral exploration, recently merged with HPI Holdings Ltd., a medical cannabis producer in Ontario. 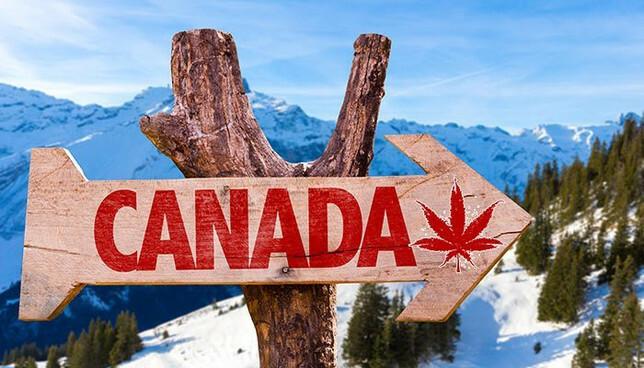 The shift in Newstrike’s focus comes as Canada prepares for adult use legalization on a national scale. Depictions of people, characters, or animals, real or fictional.